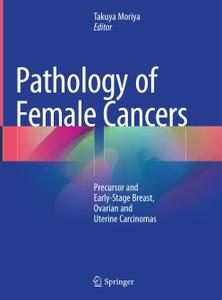 This book focuses on precursor lesions, borderline lesions, and early carcinomas of female-specific organs from the standpoint of pathology. In 2012, WHO Classification of Tumours of the Breast was revised and subsequently, in 2014, the WHO Classification of Tumours of Female Reproductive Organs was revised. In these latest versions, several new concepts are addressed that were not described in the previous editions, and many of them are related to the awareness of the specific pathogenesis of tumors in female patients. Although some of these issues are still controversial, several paradigm shifts should be understood by medical scientists. Thus researchers, diagnostic pathologists, and clinicians must share current information about what is taking place in the field and what the next issue to resolve is.